Ponce De Leon, the Spanish explorer, discovered Florida on April 2, 1513 during Easter Week, which in Spanish is celebrated as the festival of Pascua Florida. That’s how Florida got its name. Fifty-two years later, on September 8, 1565, during the settlement of St. Augustine, FL [America’s oldest city] the state was claimed as a Spanish colony by Admiral Don Pedro Menéndez de Avilés. In attendance at the ceremony were Spanish colonists and members of the indigenous native American Timucua tribe, all of whom were invited to a commemorative communal meal. Some claim that event was the original Thanksgiving celebration, predating the festivities at Plymouth by more than half a century. The story has been chronicled by children’s author, Robin Gioia, in her book, America’s Real First Thanksgiving: St. Augustine, Florida, September 8, 1565. The Grateful American Book Prize believes that tale might inspire your children to learn more about history. After General Robert E. Lee’s army withdrew from Richmond, VA, the capital of the Confederacy, the city surrendered on April 3, 1865 to the Union Army. Six days later, General Lee yielded to General Ulysses S. Grant at Appomattox, VA, officially ending the Civil War—the bloodiest, most destructive “conflict” in America’s history. The death toll is estimated to have been between 620,000 and 850,000 Union and Confederate soldiers—all of them Americans. 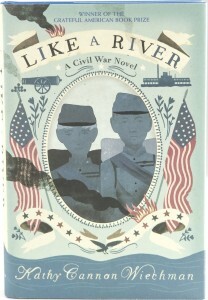 If you want your children and grandchildren a get a “look” at the War Between The States from a kid’s point of view, give them Kathy Cannon Wiechman’s Like a River: A Civil War Novel. The book won the inaugural Grateful American Book Prize in 2015. It was written especially for middle-grade readers and provides an exciting perspective that has a particular appeal to young readers. James Earl Ray perpetrated what is considered a “crime of the century” when he assassinated Martin Luther King, Jr. on April 4, 1968 in Memphis, TN. Ray was captured, he confessed to the murder, and was sentenced to 99 years in prison—which he never completed. He died at Columbia Nashville Memorial Hospital in Tennessee from complications related to kidney disease at the age 70 in 1998. Dr. King, who was awarded the Nobel Prize in 1964, was an iconic civil rights leader who was known for advancing the cause of racial equality through nonviolent activism. 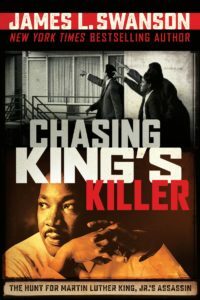 The Grateful American Prize recommendation for young readers interested in learning about Dr. King’s life, death, and the capture of his murderer is James L. Swanson’s Chasing King’s Killer: The Hunt for Martin Luther King, Jr.’s Assassin. Franklin Delano Roosevelt was the only president to win four consecutive terms. He lived and served through some of the most tumultuous times in U.S. history; he guided the country through the Great Depression and World War II while the U.S. fought in Europe and the Pacific, simultaneously. Roosevelt died of a cerebral hemorrhage on April 12, 1945—less than five months before the war ended. The only other person who tried to abandon the term limit tradition was another Roosevelt; Franklin’s distant cousin, Theodore. The 22nd Amendment to the Constitution, passed in 1951, officially limited U.S. presidents to two terms (8 years) in office. 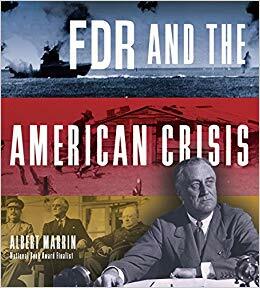 Albert Marrin’s FDR and the American Crisis is a definitive biography of Franklin Roosevelt, and an easy, interesting read for those who are 12 and up, says the Grateful American Book Prize. President Abraham Lincoln was assassinated while he was attending a performance of the play, “Our American Cousin”, at Ford’s Theater in Washington on April 14, 1865. He died the following morning—six days after the end of the Civil War. His accomplishments were legion, and interest in Mr. Lincoln continues; more has been written about him than any other person in history–with the exception of Jesus Christ. The Grateful American Book Prize recommends for readers 11 and older a book by author James L. Swanson, Chasing Lincoln’s Killer. It’s a taut, well-sourced detective story with the power to prove that a lesson in history need not be boring. April 2-14, 2019 — History Matters is a biweekly feature courtesy of The Grateful American Book Prize. About the Grateful American Book Prize: The panel of judges for the 2019 Grateful American Book Prize is now accepting submissions for books published between July 1, 2018 and July 31, 2019. Historically accurate books of fiction and nonfiction written for middle schoolers are eligible. Entries for the Prize will be accepted until July 31.